Want to explore Khmer cultural heritage to the fullest extent, Royal Angkor Resort & SPA is a perfect place for you to be. This is a 5-year old Khmer Classical architecture building located in the heart of Siem Reap. The exotic décor and antique, classical furniture was meticulously crafted and handmade by the artisan from the older generation. After a long, tiring day exploring the Angkor temple, guests can come back and relaxed at a peaceful ambience of the resort. 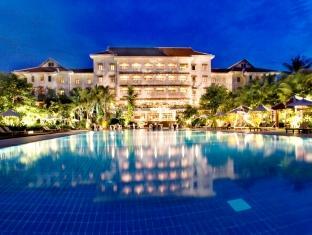 Royal Angkor Resort & SPA is a perfect combination of culture, heritage, food and the way of living of Cambodian people. 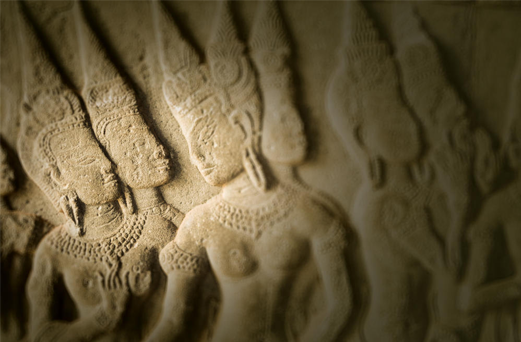 Here, you will experience the Khmer journey like never before. Infant 0-4 year(s) – Stay for free if using existing bedding. Note, if you need a cot there may be an extra charge. * Guests over 12 years old are considered as adults. From Siem Reap International Airport to the city center, Royal Angkor Resort & SPA is only 5 minutes drive from the airport and situated on the national road No. 6 on the left hand side.